A small selection of our Croatia properties for sale,please contact us with your criteria,if we don't already have your perfect property we will find it for you. House - Panoramic view on Mirna valley and seaview. Extensive description: We are pleased to offer you this 3 bedroom , 3 bathroom 170 m² detached villa on very nice location with beautiful seaview. Price: €240,000 (At this stage of completion), €380,000 (Completly finished). Extensive description: We are pleased to offer this 4 bedroom, 4 bathroom detached villa on very nice and quiet location with seaview. Extensive description: We take great pride in offering this fantastic luxury villa in the exclusive resort of Opatija. This superbly fitted..
Extensive description: We are pleased to offer you this 4 bedroom, 4 bathroom detached house 360 m² of living space on very nice and quiet location..
Extensive description: We are pleased to offer you this 2 and 3 bedroom semidetached villa with 2 units on very nice and quiet location with..
Extensive description: We are pleased to offer this beutiful house with 4 bedrooms and 3 bathrooms, 2 kitchens and 1 outdoor and 2 indoor fireplaces..
Extensive description: We are pleased to offer you this 4 bedroom , 4 bathroom semidetached villa on very nice and quiet location with nice..
Extensive description: We are please to offer you this 3 bedroom ,2 bathroom, 131 m2 detached villa superb quality Just reduced in price, a real bargain. House - Superv location with sea viwe. Extensive description: Are you looking for something special, look no further than this superb apartment. just turn the key sit down and relax and enjoy spectacular sea views. Extensive description: Rare opportunity to acquire a town house in central Rovinj. Dont miss out to purchase in one of the most beautiful ,desirable hot spots in Europe. This truly is a fantastic investment / lifestyle acquisition offerd at a realistic price. Extensive description: Villa located at the entrance of Medulin, the tourist center of southern Istria. 500 m2 of living space spread across three levels, ground floor intended for daily relaxation and work, and first and second floor for a night rest. Extensive description: Fantastic opportunity, a brand new six bedroom villa.The villa has a three star renting licence Making this property very versatile for a private home , holiday rental or both, leading to generate a large income. Extensive description: Ideally located penthouse, opposite the sea, underground parking, 34sqm gallery, 2 bedroom, excellent investment priced to sell. Extensive description: We take great pleasure to present this new, two bedroom ground floor apartment with garden. 10 minutes walk from the sea and 1.2 km by car to the coast. Extensive description: The house is approximately 100 square meters over two floors and is of stone construction and sits on a plot of 350 sqm. situated in a picturesque village, 15 minutes drive from the major resort of Porec and the coast.This original Istrian property is just waiting to be snapped up and renovated making this a fantastic investment opportunity. Extensive description: These surperb quality apartments are just minutes from the sea and marina, because of the super value per sqaure meter, there is only 3 apartments left for sale in the unit of 12. Super plot of land for one house, panoramic views and quiet location. REDUCED in price Plot of land situated between Višnjan and Vižinada, Permission for two houses already granted making this a superb investment opportunity. High Quality luxury villas for sale in Nova Vas, Priced to sell excellent investment. This is a totally superb, immaculate villa, properties of this quality rarely become available. Fantastic villa located 400m from the sea, generating income, from its own separate apartment this really is a must see. Luxury villa close to the sea, potential income, fantastic location. House - Nice gardens and benifits from sea views. Fantastic Quality Villa,Set in a beautiful residential area close to sea and amenities. 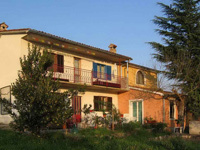 This 125 Sqm villa set in a plot of 280Sqm, shouts quality inside and out.